1) It seems I was mistaken about the glowing golden ally for being over 200k. Just saw a few above 200k not golden and one below 190k being golden. So I am not sure how the recommendation works. Anyone knows? 2) No patch notes for this week? Been busy with KC event so I haven't been focused on other DMM games. So is the newest 3k gacha 11x gold with a '17 gold ticket and a '18 gold ticket? That's pretty generous if so. @ofi123 The 3k gacha is an 11x such that every single character is a 5* that was introduced before Jan 7th, 2019. It gives you a '17 and a '18 seal stone. Both let you trade for a gacha 5* that was introduced during their respective years. So in total, the gacha has a value of 13 gold characters. 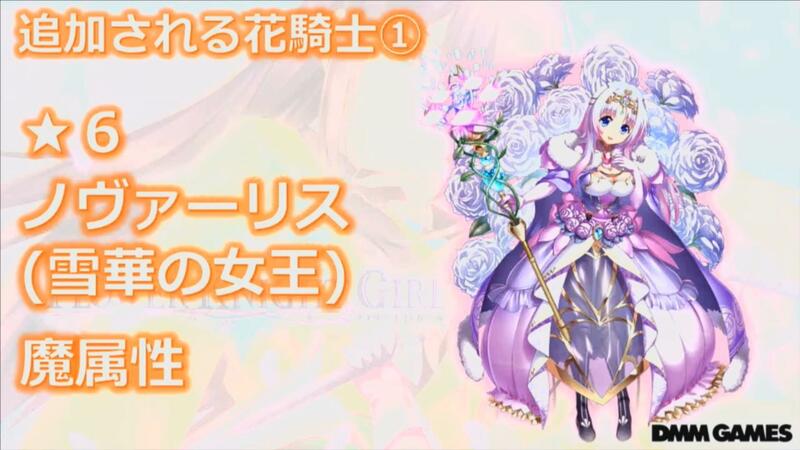 The other 3k gacha is an 11x that gives a 6* equipment flower. The last thing worth pointing out is that we have a synthesis campaign going on until Feb 6th which increases exp gains by 15% instead of 10%. Spent an hour emptying my manyus. After that noticed I am below 100k and can't blossom anyone. Now I think I'll be spending an hour doing free gacha for gold. Maybe rolling for 250k times lol. Hopefully I'll have enough to go through with equipment synthesis after blossoming. EDIT: Gained around 2.5 million gold for rolling 100,000 free rolls. Going to continue watching the stream while afking to rest my fingers. ALL HAIL THE QUEEN! SHE'S NO LONG A MERE 3* BRONZE! Last edited by ofi123; 01-20-2019 at 12:24 PM. I also did a lot of equipment leveling. I don't have a need to level event equips anymore, so it was mainly focused on whaleship equips and personal equips. My whaleships should by decently stronger as a result. @ofi123 Might as well wait for the next event. Aside from Morimori Gold Boost being open the entire time, there's 2x gold. Also, the 15% synth campaign is still going to continue. Saw a rainbow pot, got so excited. 1 sec later saw a Maple clone and now I'm depressed. @TribalNugget Maybe this year will be the one she s dethroned. The codes for the premium nico accounts during the 13th official livestreeam have been released. But it seems mine either failed to work or I have to wait till the next maintenance for it to work.